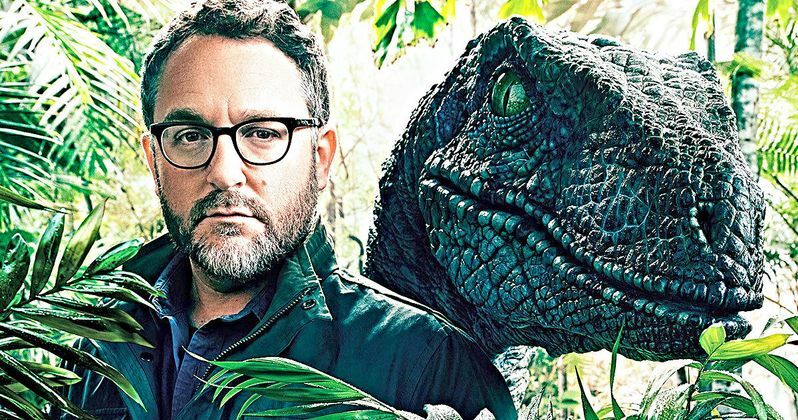 A new petition wants to see director Colin Trevorrow removed from Jurassic World 3. Instead, they want to have J.A. Bayona, who helmed Jurassic World: Fallen Kingdom and previously worked on critically-heralded movies like The Impossible and A Monster Calls, to come back and round out the trilogy. Even though this almost certainly won't happen, or at least a petition isn't going to be the thing that makes it happen, it's kind of fascinating for a few reasons. Colin Trevorrow was removed from directing duties on Star Wars 9 over creative differences. He ultimately won that job because of what he did with Jurassic World. Both critically and financially by almost every measure, Trevorrow's entry in the Jurassic Park franchise outperformed J.A. Bayona's. Also, Trevorrow co-wrote the script for Fallen Kingdom with Derek Connolly. So he had a big hand in it. Still, this petition alleges that Bayona is better suited for the gig directing Jurassic World 3. Here's some of their reasoning. "As long time fans of Jurassic Park and Jurassic World, we believe that director J. A. Bayona took an important step in the right direction with the franchise. After Fallen Kingdom, which ended up being a darker and more mature chapter than its predecessor, there would be no point in going back to Colin Trevorrow's uninspired style." Universal has already announced that Jurassic World 3 is set to arrive in theaters on June 11, 2021, which will be co-written once again by Colin Trevorrow, with the help of franchise newcomer Emily Carmichael. Let's say, just for a second, that the studio decides it would be better for Juan Antonio Bayona to come back. He'd still be directing from a script that Trevorrow had a major hand in. Or, maybe Trevorrow would just leave altogether leaving Bayona and Carmichael, or perhaps a new writer, to finish this thing out. In either case it would just feel a bit messy. And Universal has no reason to be anything but happy with Trevorrow at this point. He's made them a lot of money. The petition also takes a shot at Trevorrow for his flop The Book of Henry, among other things. "Trevorrow's firing from Star Wars: Episode IX, along with the low production value of his indie movie The Book of Henry and his communication mistakes during Fallen Kingdom's marketing campaign, is a testament to his inadequacy. He's proven himself unable to manage such a large and complex project. On the other hand, Bayona's directorial skill and sensitivity are clearly perceivable and could give us another great episode, driving the franchise towards excellence and setting up a bright future for our beloved dinosaurs. Please, Universal, put J. A. Bayona in full control as director and writer of Jurassic World 3." Jurassic World 2 has grossed just over $1 billion at the box office despite its mixed reception. Though, much of that reception had to do with the story, which was cooked up by Colin Trevorrow, than it did the direction. That makes the idea of J.A. Bayona taking over for Jurassic World 3 all the more interesting. For now, Trevorrow is the guy and Bayona will probably head off to either make a slightly smaller movie or field another offer from a major studio. You can check out the petition for yourself over at Change.org.